Happy Father’s Day to those of you who are dads, or are dad figures. I just looked up Father’s Day and was (sort of) surprised to see that it was “invented” after Mother’s Day, so that fathers could get the recognition they so rightly deserve. Mother’s Day was made official in 1914, however it took many years to finally get Father’s Day signed in as a law – 1972. (Oh, and seeing that this is the Cozy Mystery site, in case you are interested in reading a Father’s Day mystery, here is the link to the Father’s Day theme mystery list. In Germany, this year’s Father’s Day was on 29th May. It’s always on Ascension Day and as a rule all-male groups go for trips where they often drink lots and lots of alcohol (see Wikipedia here: http://en.wikipedia.org/wiki/Father%27s_Day#Germany), leaving the rest of the family to their own devices. My father or ex never did that though. I can’t remember anything about presents, however small, or anything else to honour fathers in all my 45 years. Unfortunately I also can’t remember any Father’s Day themed mysteries either. Deahna, thank you for filling us in about Father’s Day in Germany! In Australia, Father’s Day is celebrated on the first Sunday in September. 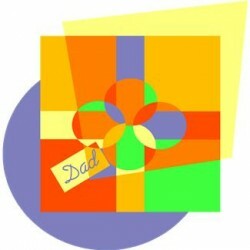 It’s pretty common for presents to be given, or to do something special for your father. I’ve never read a Father’s Day themed mystery. Anita, Australia (and Germany) celebrating Father’s Day in September would take some getting used to for me. When I was young, we lived in Santiago, Chile for four years. I remember how topsy-turvy it seemed to celebrate Christmas during the summer. Leslie Meier has written a Father’s Day themed mystery.